Cardwell is a tropical coastal town and locality in the Cassowary Coast Region in Far North Queensland, Australia. In the 2016 census, Cardwell had a population of 1,309 people. The Bruce Highway National Highway 1 and the North Coast railway line are the dominant transport routes; connecting with the Queensland provincial cities of Cairns and Townsville. Cardwell suffered significant damage from Cyclone Yasi, a category 5 cyclone, in February 2011. West of Cardwell the rugged topography of the Cardwell Range intercepts the trade winds resulting in high rainfall. The coastal escarpment is covered in rainforest which transitions to the west to eucalypt woodland and tropical savanna. Cardwell Range biodiversity has been protected by the introduction of Forestry Reserves, National Parks and Queensland World Heritage Wet Tropics Areas. Seaward lies the Coral Sea, the Great Barrier Reef and Lagoon, Rockingham Bay and Hinchinbrook Channel. Islands are visible from Cardwell including protected areas i.e. Hinchinbrook Island, Goold Island and the Brook Islands Group. Oyster Point is one kilometre south of Cardwell. This location experienced one of Australia's important conservation battles. With the establishment of Port Hinchinbrook, the Marina Public Boat Ramp provides year round access to the protected marine environments of Hinchinbrook Channel, Estuaries, Islands and Great Barrier Reef. The Cardwell Jetty is an important infrastructure asset, where visitors can socialize and view the coastal scenery; and anglers can enjoy both day and evening fishing activities. The Aboriginal heritage is defined by Language Groups; the boundary of the Dyirbal and Warrgamay lies between Cardwell and Tully in the north. The first Europeans settled in the area in January 1864 in order to create a port initially called "Port Hinchinbrook". 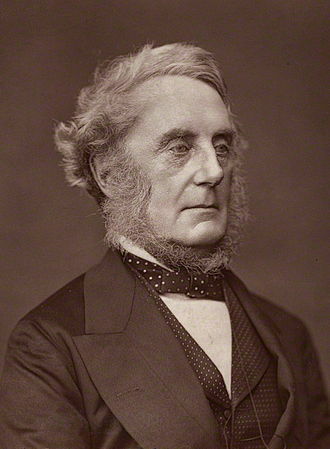 Subsequently, the town was renamed after Edward Cardwell, 1st Viscount Cardwell. Cardwell was the first port settlement on the Queensland coast north of Port Denison (Bowen). The first party of non-indigenous people to settle at Rockingham Bay arrived in January 1864 and was led by George Elphinstone Dalrymple. They were 20 in number including James Morrill, William Alcock Tully, Arthur Jervoise Scott, Lieut. Marlow of the Native Police and his troopers Norman, Archy and Warbragen. Dalrymple also brought his "black boy" servant, an Aboriginal man from Stradbroke Island that he called "Cockey". They came from Bowen on the small schooner Policeman which was under the command of ex-Native Police officer Captain Walter Powell, with the 3 ton cutter Heather Bell in tow. Dalrymple's main purpose in establishing a settlement in Rockingham Bay was to create a port as close as possible to the Valley of Lagoons Station of which he was part owner. Very soon after disembarking from the Policeman, he endeavoured to create a road from the coast to the Valley of Lagoons largely by expanding already existing native paths. A few miles inland from the landing site was a very beautiful aboriginal village and bora ground surrounded by native banana plantations that reminded Dalrymple of villages in Ceylon. The Warrgamay people in the area and on nearby Hinchinbrook Island were described as numerous and having some of the largest spears, shields and wooden swords ever recorded in Australia. Having told the local people through his interpreter that he had come to take possession of their lands, Dalrymple bizarrely expressed frustration at the supposed inability of the aboriginals to understand the concept of "Thou shalt not steal". James Morrill was more factual in his account of the founding of Cardwell writing that "I then said to [the natives] that they must clear out..as we wished to occupy the land and would shoot any who approached, that we were strong and that another party would soon follow", and he also described how a group of Aboriginals "were set upon suddenly by Dalrymple's men and rather cut up." Cardwell Post Office opened on 10 July 1864. In March 1865, Lieutenant Blakeney and seven troopers of the Native Police spent two days clearing the area around Cardwell of Aboriginal presence by "burning camps and dispersing the natives." In the late 1860s and early 1870s, Cardwell became a transport hub for prospectors heading to the Etheridge Shire goldfields 200 km inland from the town. Captain John Moresby visited Cardwell in 1871 and wrote that "various tribes of aborigines roam about the vicinity, and not unnaturally regard the white men, who are rapidly dispossessing them of their homes, as mortal enemies. They..suffer terrible retaliation at the hands of our countrymen, who employ native troopers, commanded by white men to hunt down and destroy the offenders when the opportunity offers". In January 1872, two British dugong fishermen named Henry Smith and Charles Clements were killed at nearby Goold Island by resident Aboriginals. Wet weather prevented an immediate punitive expedition of four boats of armed local white men who were eager that "the blacks" be "taught that what they do is punishable by death". However, within the same month the Native Police forces of Sub-Inspectors Crompton and Johnstone completed a punitive mission and returned to Cardwell with three young Aboriginal children from the island. The eldest of the children was ten and "they were given away in Cardwell to domesticate them." The Cardwell Library opened in 2008. According to the 2016 census of Population, there were 1,309 people in Cardwell. 72.5% of people were born in Australia and 83.0% of people spoke only English at home. The most common responses for religion were No Religion 25.6%, Catholic 22.6% and Anglican 20.6%. The Cassowary Coast Regional Council operates a public library at 4 Balliol Street Cardwell. In 2013, the Cardwell community began being the target of an online hoax, which claimed the town's Christmas lights competition had been cancelled to appease the local Muslim community, forcing Cassowary Coast Regional Council to publicly debunk the rumours. Despite this, the hoax continues to circulate on social media. The hoax originated from an Islamophobic post on the "Meanwhile in Australia" Facebook page, which subsequently went viral. The post detailing the bogus information specifically named the Al Shalalah mosque as the source of the complaint, but such a mosque does not exist in Cardwell. The information contained within the post was also debunked by fact-checking websites such as snopes.com and Hoax Slayer. Although the original post was deleted, screenshots of the post continue to be shared on social media. Contrary to the sentiment shared in the fake post, the then Cassowary Coast mayor Bill Shannon said that he had received phone calls from Muslim leaders from as far away as Sydney encouraging Cardwell to continue with their Christmas light displays. The Cardwell Bush Telegraph heritage centre, one of the oldest buildings in North Queensland, is located at the southern end of the town. ^ a b c Australian Bureau of Statistics (27 June 2017). "Cardwell (State Suburb)". 2016 Census QuickStats. Retrieved 23 January 2018. Material was copied from this source, which is available under a Creative Commons Attribution 4.0 International License Archived 16 October 2017 at the Wayback Machine. ^ Bureau of Meteorology Archived 31 August 2007 at the Wayback Machine Retrieved 2008-01-27. ^ "Cardwell - town (entry 6216)". Queensland Place Names. Queensland Government. Retrieved 26 March 2016. ^ "Cardwell - locality (entry 45660)". Queensland Place Names. Queensland Government. Retrieved 26 March 2016. ^ "Cardwell decimated by Cyclone Yasi". The Cairns Post. 3 February 2011. Archived from the original on 6 February 2011. Retrieved 3 February 2011. ^ (4 February 2011).Weary residents begin cyclone clean-up Archived 7 February 2011 at the Wayback Machine. ABC News. Australian Broadcasting Corporation. Retrieved on 17 April 2012. ^ "Port Hinchinbrook resort protest". Green Left Weekly. 1998. Archived from the original on 3 August 2012. Retrieved 7 March 2008. ^ "The New Settlement at Rockingham Bay". Rockhampton Bulletin and Central Queensland Advertiser. 25 August 1864. p. 4. Retrieved 17 April 2012 – via National Library of Australia. ^ "The New Settlement At Rockingham Bay". The Empire. Sydney. 11 August 1864. p. 2. Retrieved 17 April 2012 – via National Library of Australia. ^ Dalrymple, G.E. (1865). "On the New Settlement at Rockingham Bay". The Journal of the Royal Geographical Society of London. 35: 191–212. JSTOR 3698090. ^ "JOURNAL OF AN EXPEDITION TO ROCKINGHAM BAY". Maryborough Chronicle, Wide Bay And Burnett Advertiser. IV (179). Queensland, Australia. 21 April 1864. p. 1 (Maryborough Chronicle, SUPPLEMENT). Retrieved 26 September 2017 – via National Library of Australia. ^ "ROCKINGHAM BAY". Rockhampton Bulletin And Central Queensland Advertiser (426). Queensland, Australia. 8 April 1865. p. 3. Retrieved 26 September 2017 – via National Library of Australia. ^ Moresby, John (1876). New Guinea and Polynesia. Discoveries and Surveys. London: John Murray. Retrieved 20 August 2017. ^ "CARDWELL". Queensland Times, Ipswich Herald and General Advertiser. XI (1517). 17 February 1872. p. 3. Retrieved 9 September 2017 – via National Library of Australia. ^ "THE BLACKS OF GOULD ISLAND". The Brisbane Courier. XXVI (4, 535). 12 April 1872. p. 3. Retrieved 9 September 2017 – via National Library of Australia. ^ "Public Libraries Statistical Bulletin 2016-17" (PDF). Public Libraries Connect. State Library of Queensland. November 2017. Archived (PDF) from the original on 30 January 2018. Retrieved 31 January 2018. ^ "Stone Bridge, Dalrymple Gap Track (entry 600393)". Queensland Heritage Register. Queensland Heritage Council. Retrieved 7 July 2013. ^ "Cardwell Divisional Board Hall (former) and Honour Board (entry 601768)". Queensland Heritage Register. Queensland Heritage Council. Retrieved 7 July 2013. ^ "Cardwell Post Office – Residence (former) (entry 600392)". Queensland Heritage Register. Queensland Heritage Council. Retrieved 7 July 2013. ^ ""CARAVAN TALES."". The Queenslander. 24 April 1930. p. 4. Retrieved 26 March 2014 – via National Library of Australia. ^ Bolton, G. C. "Scott, Walter Jervoise (1835–1890)". Australian Dictionary of Biography. National Centre for Biography, Australian National University. Archived from the original on 24 March 2014. Retrieved 25 March 2014. ^ "Cardwell Library". Public Libraries Connect. State Library of Queensland. 19 December 2017. Archived from the original on 31 January 2018. Retrieved 31 January 2018. ^ a b Fernbach, Nathalie; Hession, Pat Hoax won't dim Cardwell's Christmas lights Archived 8 December 2017 at the Wayback Machine, ABC North Queensland, 3 December 2013. Retrieved 2 December 2017. ^ Wivell, Danaella Facebook post claims Christmas lights banned in Cairns this year, The Cairns Post, 25 August 2017. Retrieved 2 December 2017. 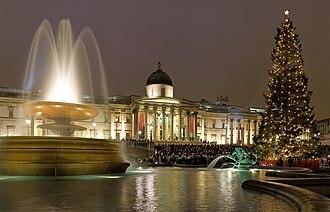 ^ Jacques, Owen Christmas lights banned for Muslims? Not in our town Archived 2 December 2017 at the Wayback Machine, The Daily Mercury, 2 December 2013. Retrieved 2 December 2017. ^ Christmas lights banned in Cardwell? FALSE, snopes.com. Accessed 2 December 2017. ^ Christmas lights were NOT banned in Cardwell Archived 24 September 2017 at the Wayback Machine, Hoax Slayer website. Accessed 2 December 2017. ^ Christmas lights ban in Cardwell a hoax Archived 3 December 2017 at the Wayback Machine, Cassowary Coast Regional Council website. Accessed 2 December 2017. ^ "Cardwell Post Office – Residence (former)". Australian Heritage Places Inventory. Archived from the original on 29 November 2012. Retrieved 20 April 2012. 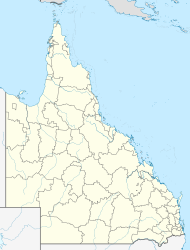 Wikimedia Commons has media related to Cardwell, Queensland. Wikisource has the text of the 1911 Encyclopædia Britannica article Cardwell. Innisfail a town and locality in the Cassowary Coast Region in Far North Queensland, Australia. The town was originally called Geraldton until 1910 and it is the major township of the Cassowary Coast Region and is well renowned for its sugar and banana industries, as well as for being one of Australias wettest towns. In March 2006 Innisfail gained worldwide attention when severe Tropical Cyclone Larry passed over causing extensive damage, in the 2011 census, the town of Innisfail had a population of 7,176 people. Prior to European settlement the Innisfail area was occupied by five separate societies of the Mamu people and these Aboriginal people followed migratory lifestyles in the rainforest and traversed rivers in string-bark canoes. The first arrival of European people came in 1872 when survivors of the shipwreck, sub-Inspector Robert Arthur Johnstones search party came with the intention of rescuing remaining survivors. The crew would venture up river between what is today Flying Fish Point and Coquette Point, Johnstone named the area after himself and upon his recommendation the explorer George Elphinstone Dalrymple arrived in the area in September 1873 to chart the area further. Later in 1879, Irishman Thomas Henry FitzGerald arrived in the area to establish a sugar industry and he was accompanied by large numbers of Kanaka South Sea Islanders workers accompanied by smaller numbers of Irish labourers. The house built by FitzGerald and thus the first establishment in the area was called Innisfallen, after the largest island in the Lakes of Killarney, inis Fáil is an ancient Irish name for Ireland itself. The name is used in the third verse of The Soldiers Song. The stone mentioned may be the stone at Tara, Co Meath, from 1879, the settlement was named Geraldton after FitzGerald, but in 1910 was renamed Innisfail to avoid confusion with the town of the same name in Western Australia. Johnstone River Post Office opened on 1 November 1882, was renamed Geraldton two months and Innisfail in 1910, in 1906 Patrick Leahy established the Johnstone River Advocate newspaper. Later it was renamed the Johnstone River Advocate and Innisfail News, the Evening Advocate, the newspaper continues to be published as the Innisfail Advocate. For the islands near Hawaii, see Midway Atoll. The Brook Islands National Park is a park in Queensland, Australia,1246 km northwest of Brisbane. 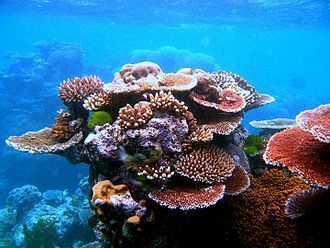 The fourth island of the Brooks group, South Island, is not part of the park but is protected by the Great Barrier Reef Marine Park Authority. Public access to the three islands in the park is prohibited in order to protect breeding birds, especially the Torresian imperial-pigeon. The islands have no roads, walking tracks or other facilities, popular activities in the waters around the islands are boating and fishing. The islands are managed by the Queensland Parks and Wildlife Service, the Parks IUCN category is II. There are breeding colonies of bridled, black-naped, lesser crested, beach stone-curlews breed on North Island beaches. The islands have been classified by BirdLife International as an Important Bird Area because of the importance of the site for pied imperial-pigeons. Brook Island, the largest in the group, was in 1944 the venue for a series of British, a documentary film Keen as Mustard, relating to these and other tests, was released by Film Australia in 1989. Ashleigh Southern is an Australian water polo player. She is currently a student at Brisbane North Institute of TAFE and is studying criminal justice, in water polo, she is a centre forward or outside shooter who has represented Australia on the junior and senior national teams. She has been selected for the 2012 Summer Olympics Australia womens national water polo team and she plays club water polo for the Brisbane Barracudas, where she won a league championship in 2010. In 2014–15 season she played for the Greek powerhouse Olympiacos where she won the LEN Euroleague, Southern was born on 22 October 1992 in Ingham, Queensland. She is 188 cm tall, and is right handed, Southern has attended Cardwell State School and Gilroy Santa Maria College. She lives in Cardwell and attends the Brisbane North Institute of TAFE, Southern has a brother who has represented Australia on the junior national team. In late 2011, she had an elbow injury, Southern plays in the centre forward or outside shooter position, She has worn number 4, but prefers to wear the number 10 cap. Southern first represented Queensland on a level in water polo as a ten-year-old on the states U14 team. Southern started playing polo in Townsville when she was eleven years old. As a young player, she traveled between Cardwell and Townsville in order to play, while competing for a school team, she was selected to participate in a development camp. She won a water polo scholarship from the Queensland Academy of Sport in 2010, in 2008, Southern competed in the Womens International Series. Her arm has been described as lethal, and better than most women players by Greg McFadden and she is characterised by the Brisbane Courier Mail as being the Happy Gilmore of the national team. Southern plays club water polo for the Brisbane Barracudas in the National Water Polo League, Southern was with the team for the 2010,2011 and 2012 seasons. Her 2010 team won the league championship, prior to that, she played for the New South Wales based Drummoyne Devils in 2009. In 2014–15 season she played for the Greek champions Olympiacos in the European competitions and she was instrumental in Olympiacos triumph, scoring 4 crucial goals in the 10–9 win against Sabadell in the Euroleague final. Conservation in Australia is an issue of state and federal policy. Australia is one of the most biologically diverse countries in the world, preserving this wealth of biodiversity is important for future generations. 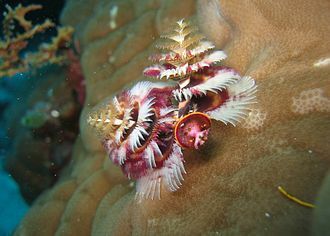 Animal habitats like reefs and forests must be preserved in order to preserve population, Conservation is vital for future study and for field research to be taken, and because biological richness is an unmeasurable aesthetic that may be developed into commercial recreational attractions. According to Janine Benyus, the potential for advances in biomimicry in Australia are great because the extreme weather, research on natural processes can only occur if habitat is preserved and organisms continue to thrive. Federal and State governments manage protected areas and national parks, a number of organizations are involved in conservation. A key conservation issue is the preservation of biodiversity, especially by protecting the remaining rainforests, the destruction of habitat by human activities, including land clearing, remains the major cause of biodiversity loss in Australia. The importance of the Australian rainforests to the movement is very high. Australia is the western country to have large areas of rainforest intact. Forests provide timber and food and should be managed to maximize the possible uses, there are a number of environmental movements and campaigners advocating for action on saving the environment, one such campaign is the Big Switch. Land management issues including clearance of vegetation, reafforestation of once-cleared areas, control of exotic weeds and pests, expansion of dryland salinity. Intensification of resource use in such as forestry, fisheries. Coastal and marine environments have reduced biodiversity from reduced water quality caused by pollution and sediments arising from human settlements, in central New South Wales where there are large plains of grassland, problems have risen from—unusual to say—lack of land clearing. Before European settlement, Aborigines burnt the grassland regularly for thousands of years and eventually native animals became dependent on the grasslands, when Europeans settled the area in the early 19th century, their ignorance lead to the destruction of the grassland through lack of regular burning. The Division of Kennedy is an Australian Electoral Division in Queensland. 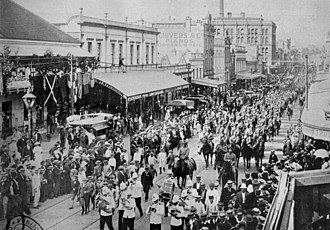 The division was one of the original 75 divisions contested at the first federal election, the division is named after Edmund Kennedy, an explorer in the area where the division is located in Queensland. The member since 1993 is Bob Katter, Jr. the leader of Katters Australian Party and he was previously elected as a member of the National Party, but became an independent in 2001 before forming his own party in 2011. The largest population centre in the electorate is the city of Mount Isa, until 1949, it was even larger, encompassing most of the state north of Townsville. However, much of its portion, including the Cairns area. 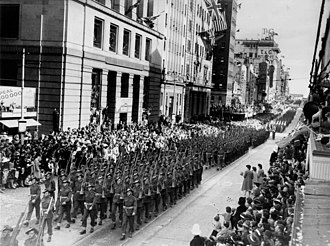 Kennedy was held by the Australian Labor Party for most of the first half of the 20th century, from Federation until 1966, Labor held it for all but two terms. However, since 1966 it has held by the conservative Katter family—Bob Sr. and his son, Bob, Jr. —for all. It has long since shaken off its Labor past, and is now considered one of the most conservative electorates in Australia. Ross River flowing through Townsville CBD with Castle Hill in the background. Nina Peak and the cloud shrouded Mount Bowen from the beach at Ramsay Bay. Portrait of Lord Cardwell by George Richmond, 1871. Rainforests such as the Daintree have immeasurable value. Hopetoun Falls and other unique wilderness areas are protected within reserves and parks. Division of Kennedy in Queensland, as of the 2016 federal election. Oyster Point, protruding into the Hinchinbrook channel (right), viewed from Cardwell. The mountains on the left are Hinchinbrook Island.